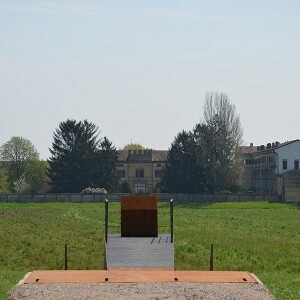 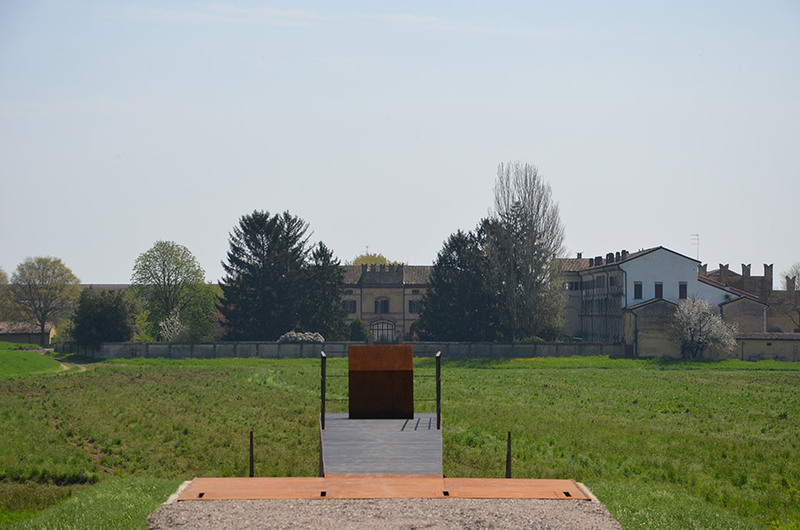 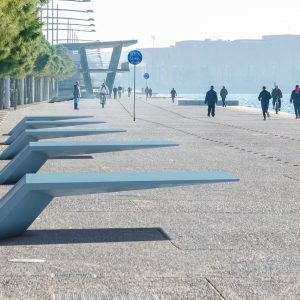 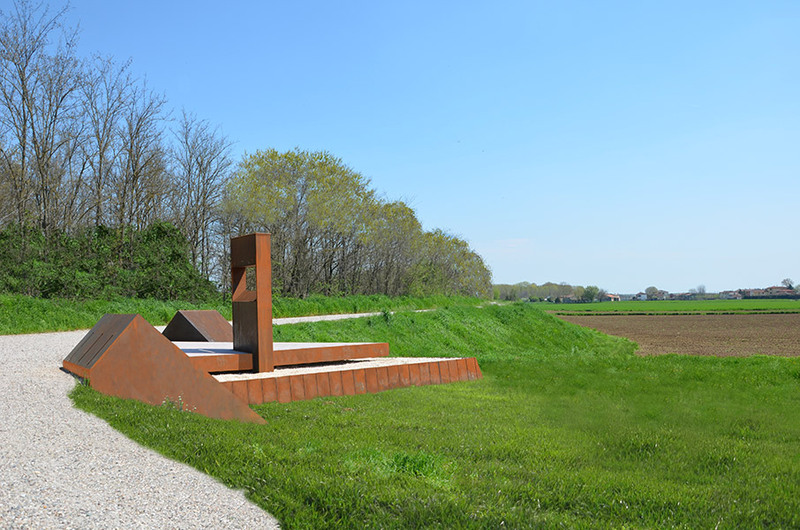 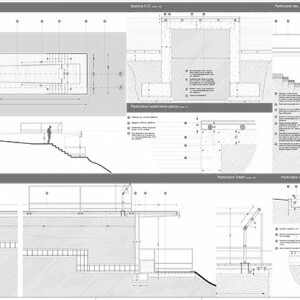 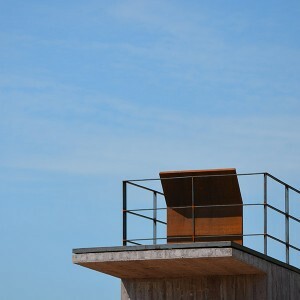 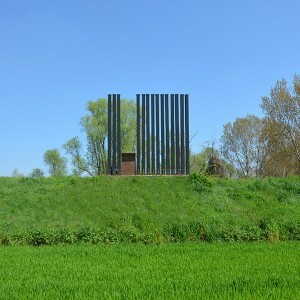 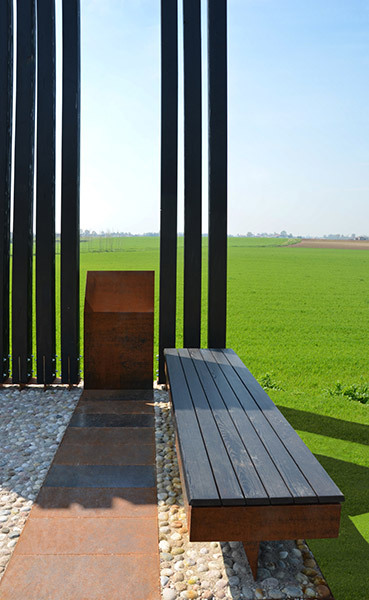 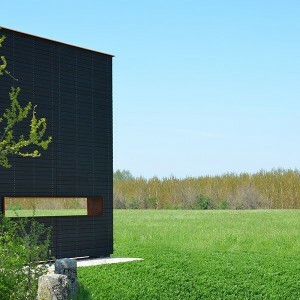 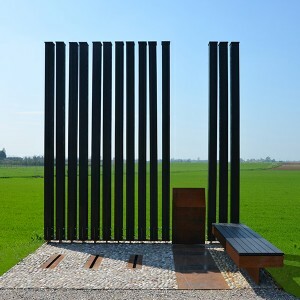 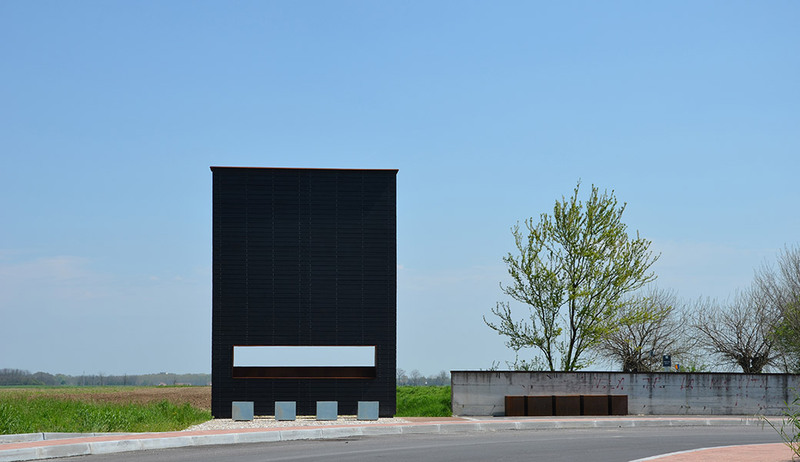 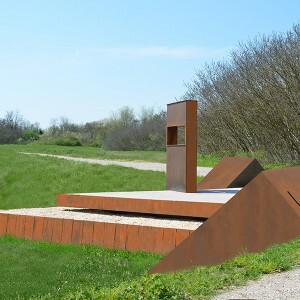 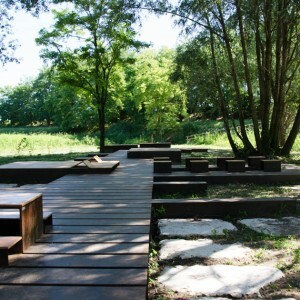 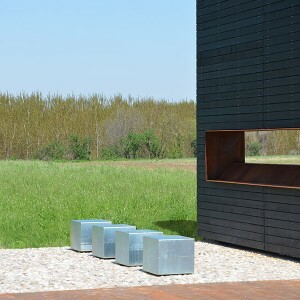 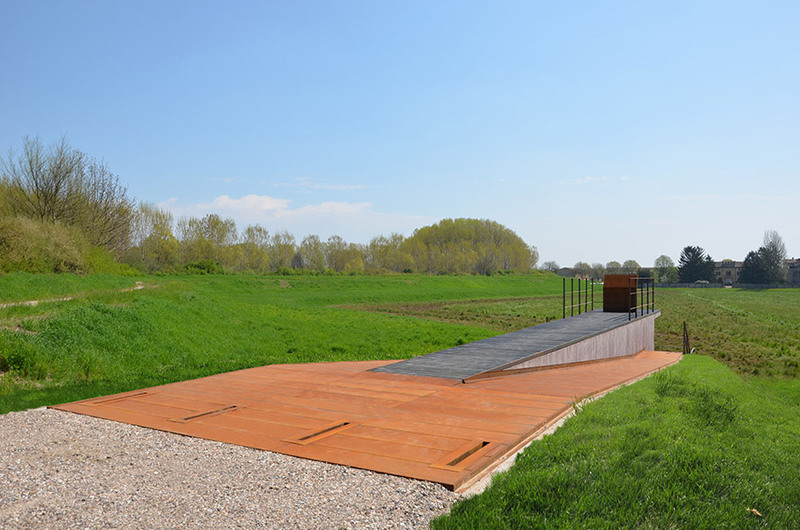 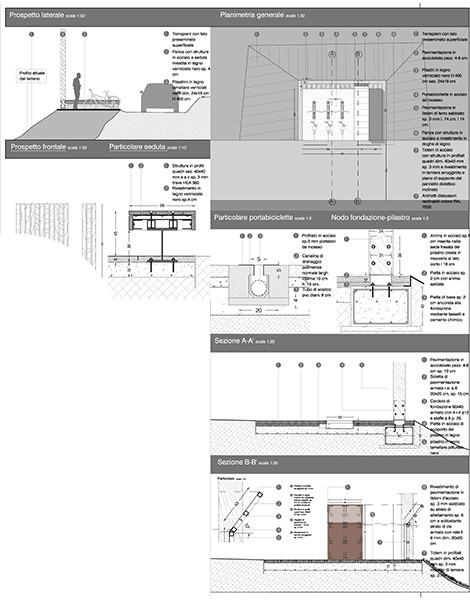 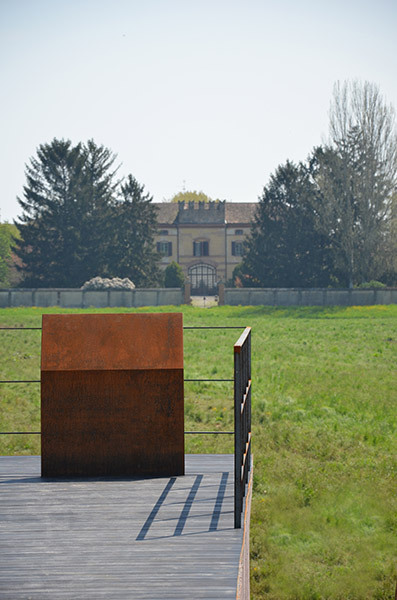 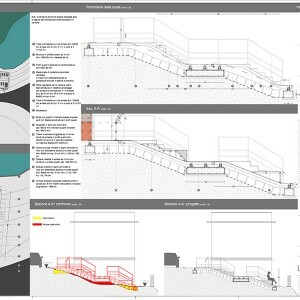 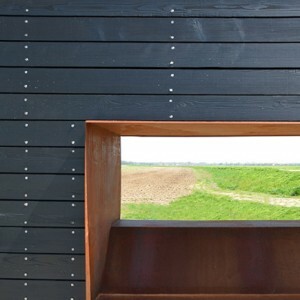 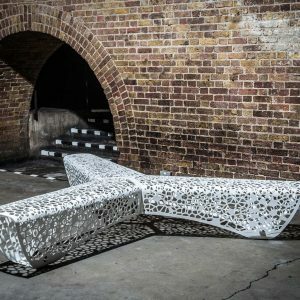 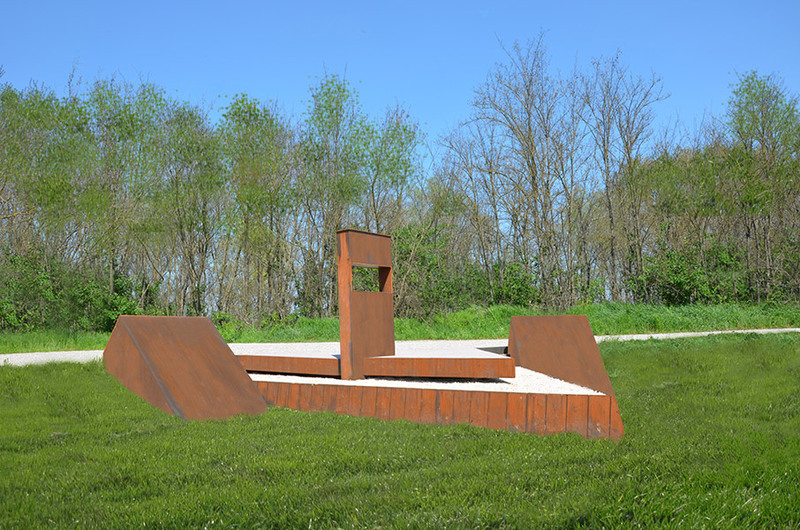 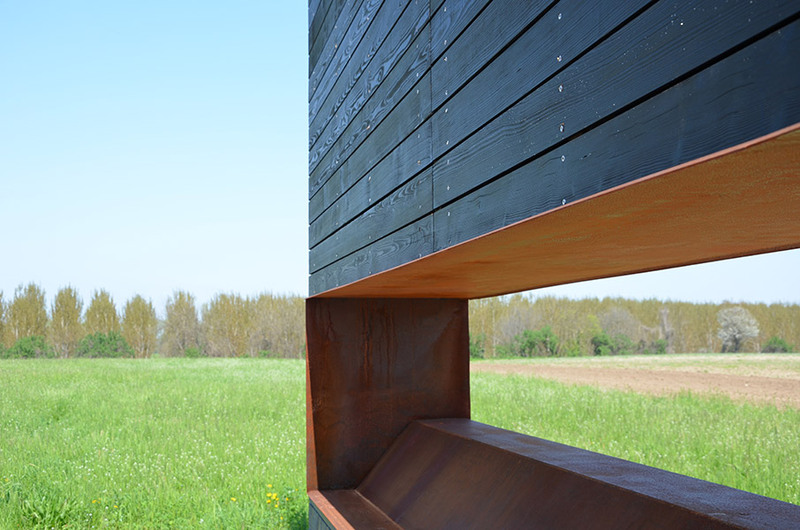 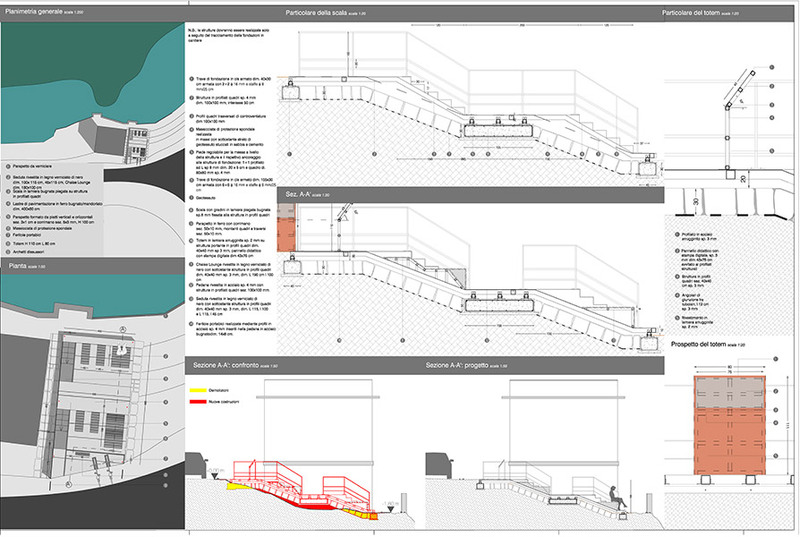 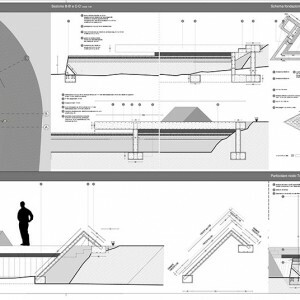 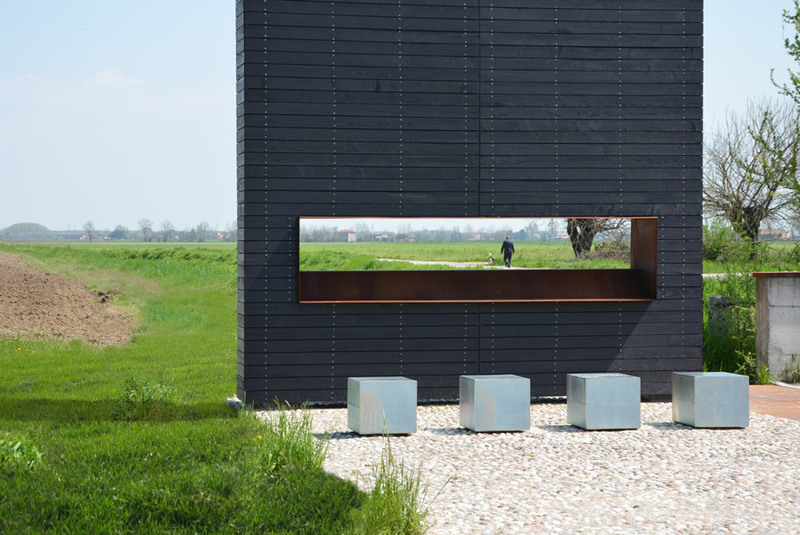 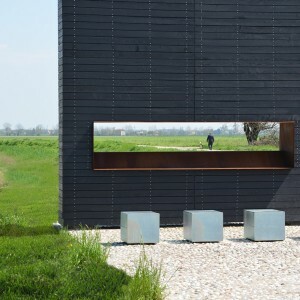 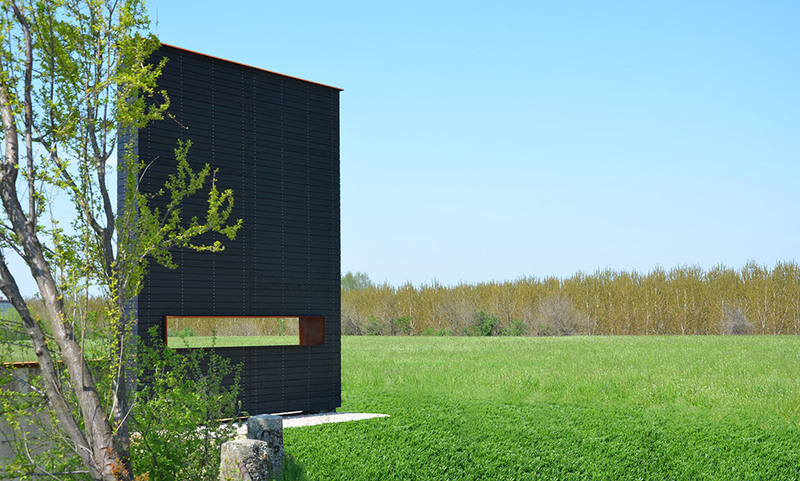 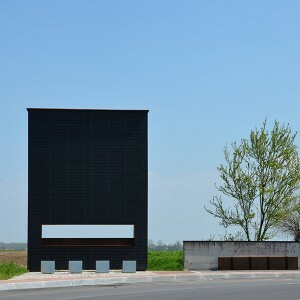 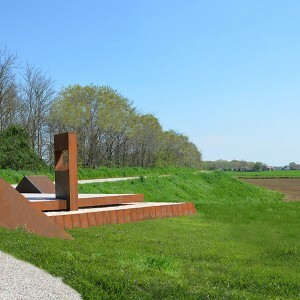 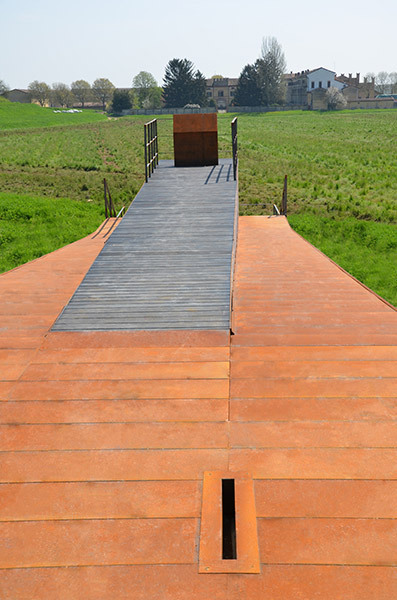 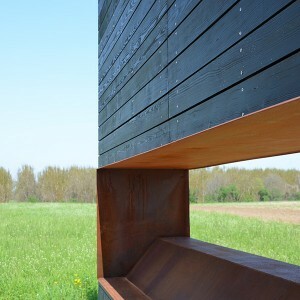 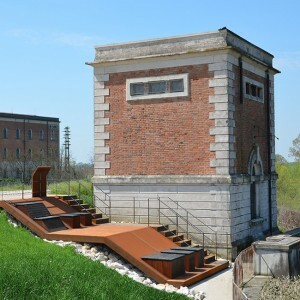 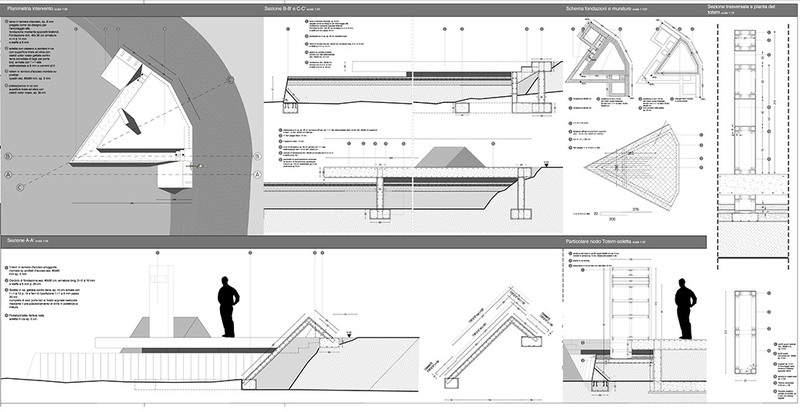 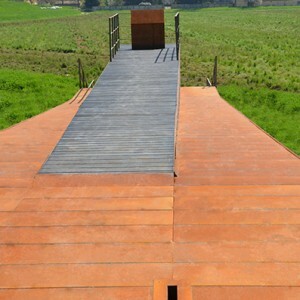 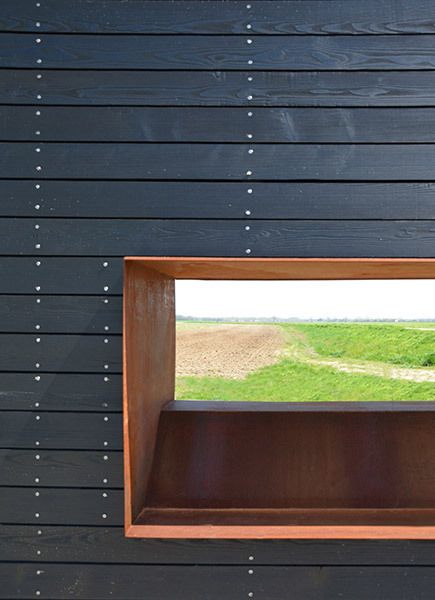 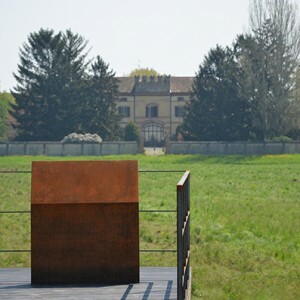 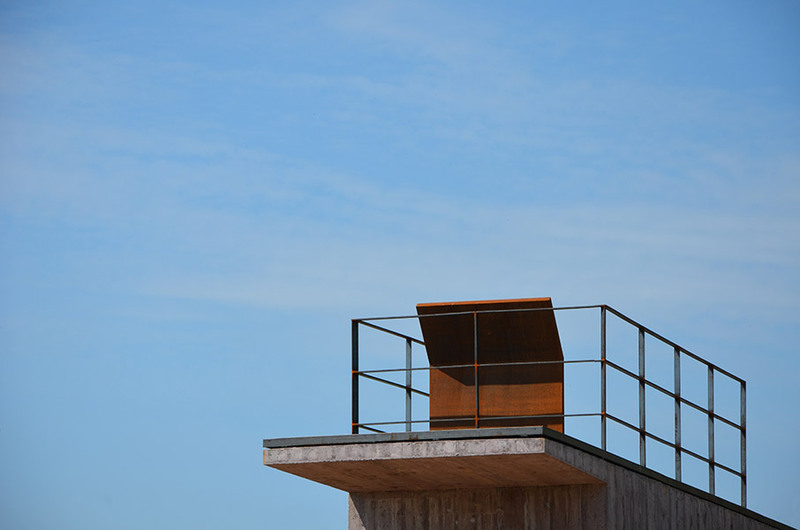 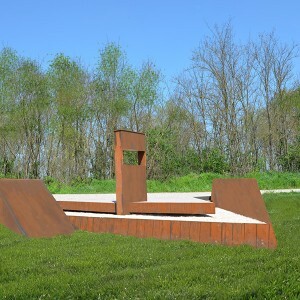 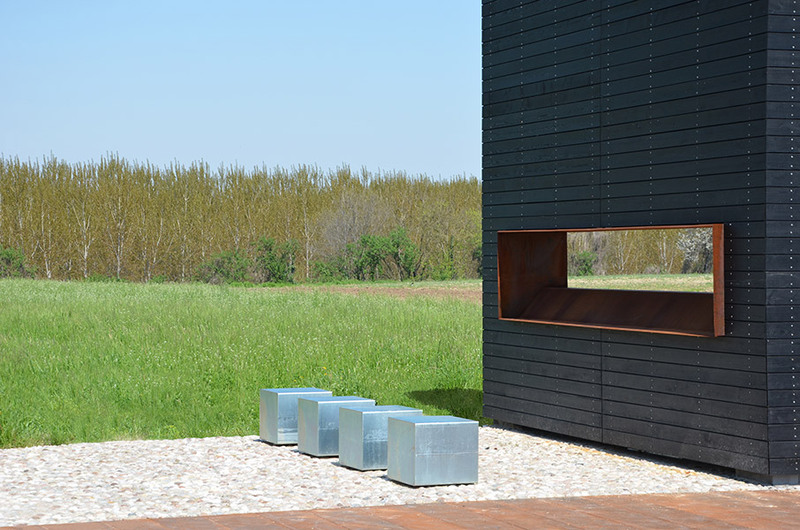 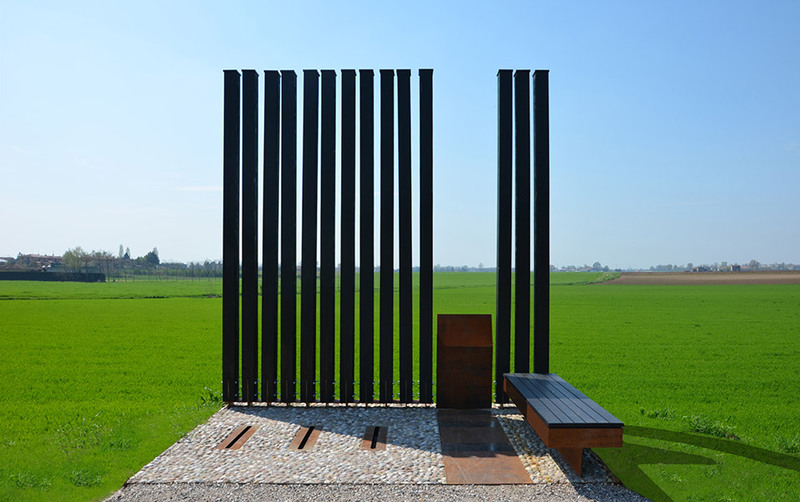 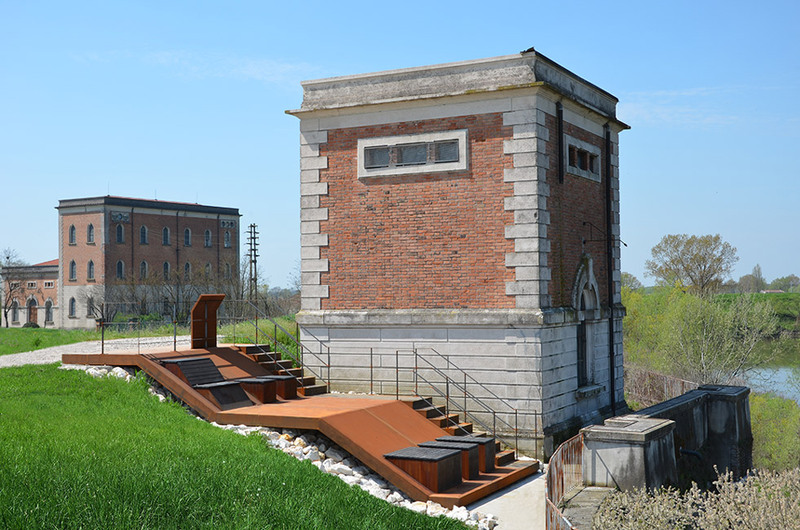 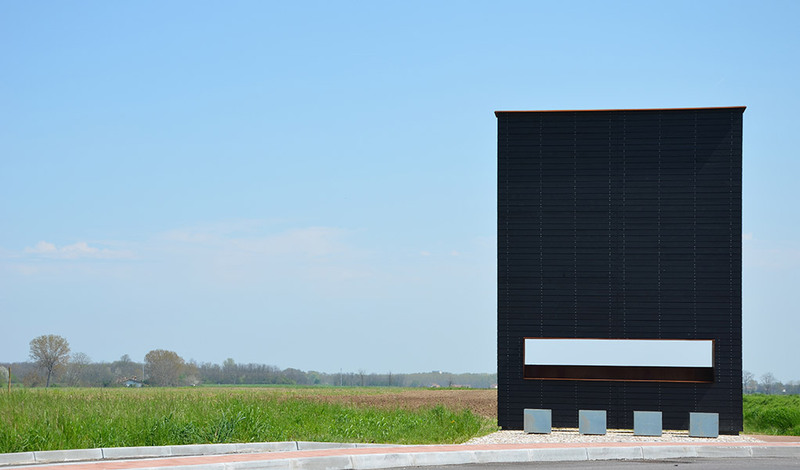 archiplanstudio: The work is defined by a series of lightweight structures that accompany the users of the area placed in the Regional Park of the Mincio in a process of interpretation of historical and cultural environment, capable of enhancing aspects of excellence in the area of the lower course of the river. 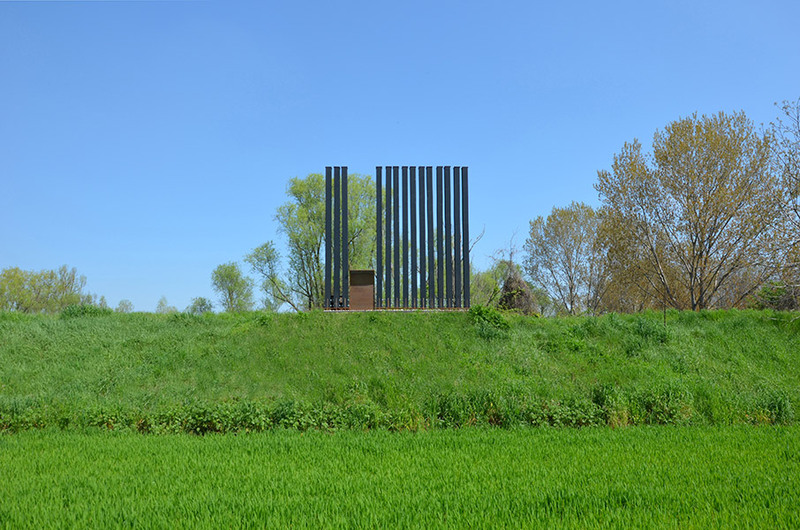 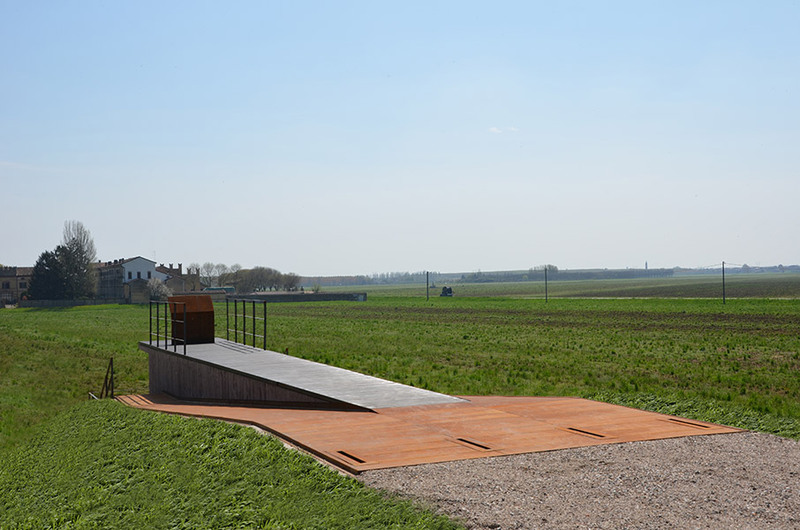 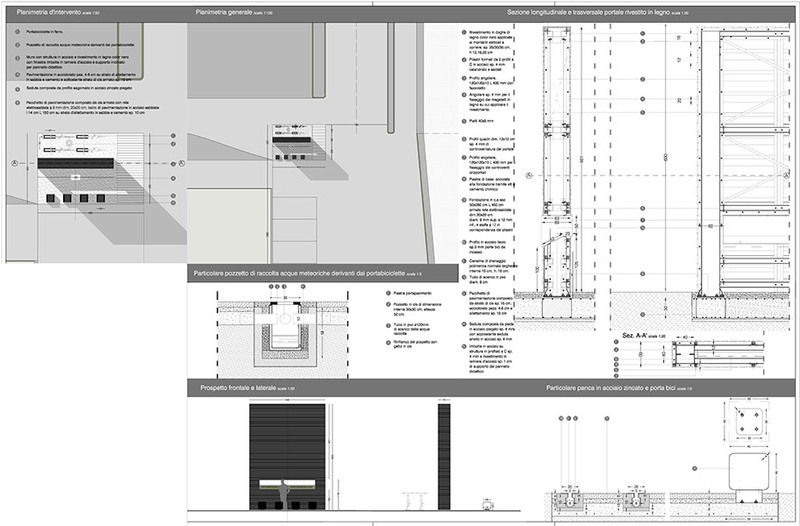 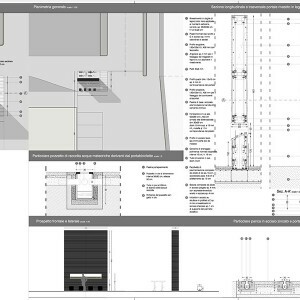 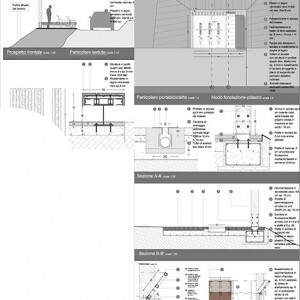 The proposed involves the construction of a series of installations to define some interpretation centers where the cultutral attraction is the figure of the Roman poet Virgil and the integration of his poetry with the river landscape. 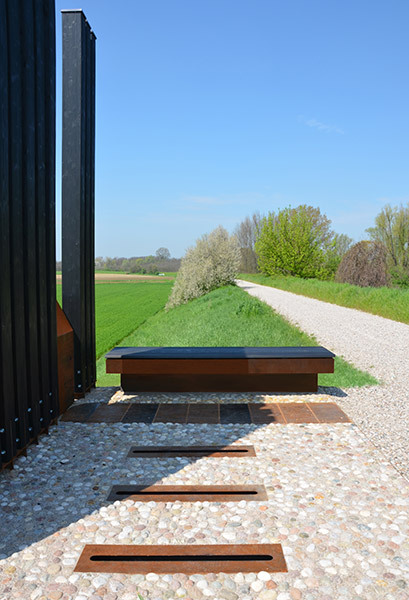 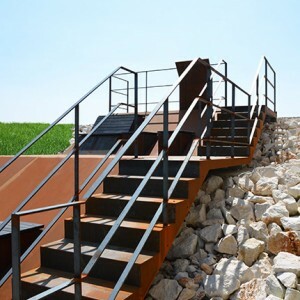 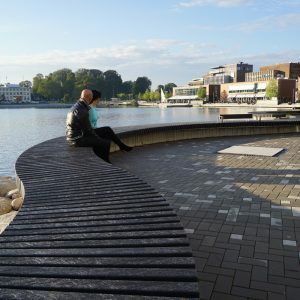 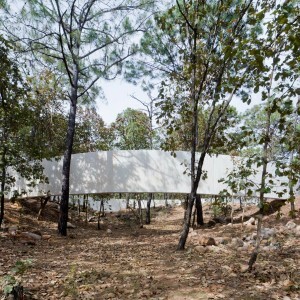 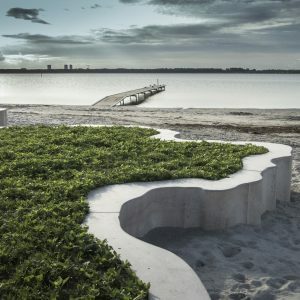 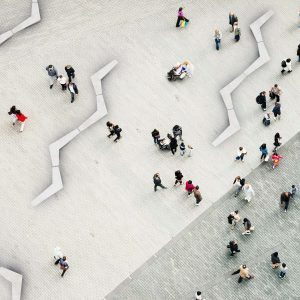 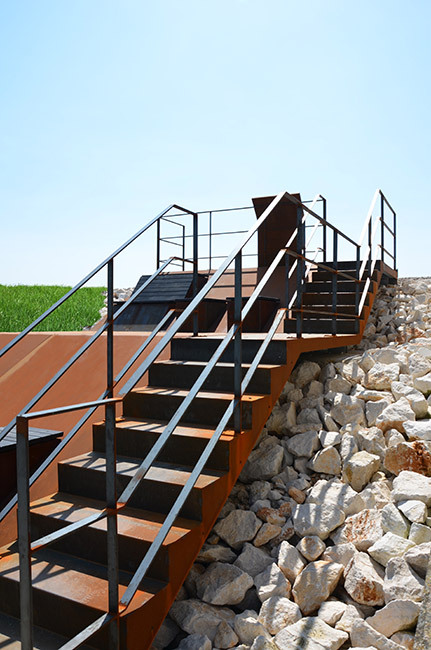 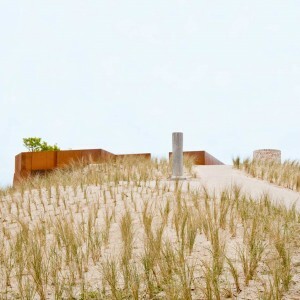 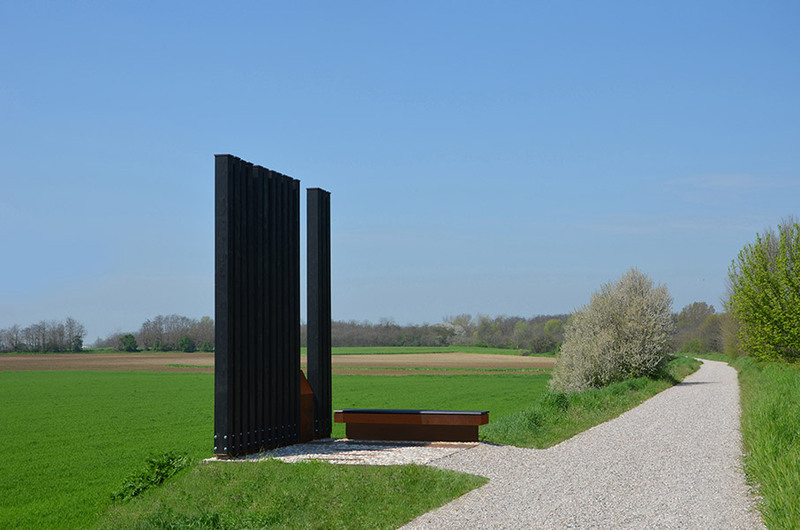 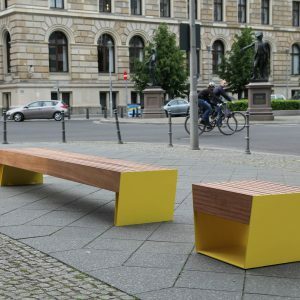 The rest areas are configured as local landmarks that mark and measure the pedestrian path that runs along the bank of the river. 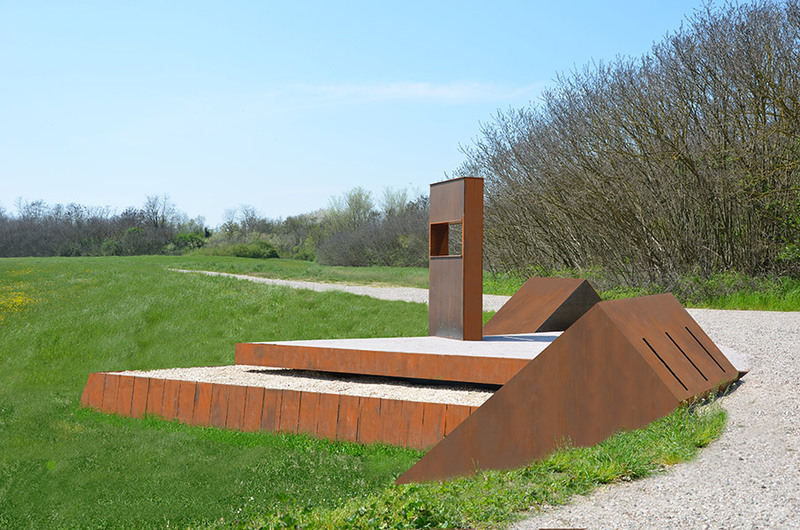 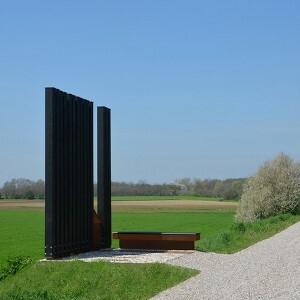 The “door courier” is placed in correspondence of an ancient post road, and emphasizes its geographical position, the “gate of the fort” is configured as formal reference marks and the presence of the nearby fort of Pietole from which he draws the figures of bastions, the “gateway to the Eclogues” point metaphorically the landscape fragment described by the poet Virgil in his poems, the “door of the Georgics” placed at the same Virgilian ancient court, represents the balance between nature and man’s work sung by Virgil in his opera, the “door of Travata” located in a pumping station of the twentieth century celebrates man’s attempt to govern the natural element of water.